1) In order to start your timekeeping, use the Grandvalira app to read the QR that you will find on the sign of the beginning of the route. 2) Go to the end of the route and try to get the best time. With the GPS function, the app will automatically detect your arrival. 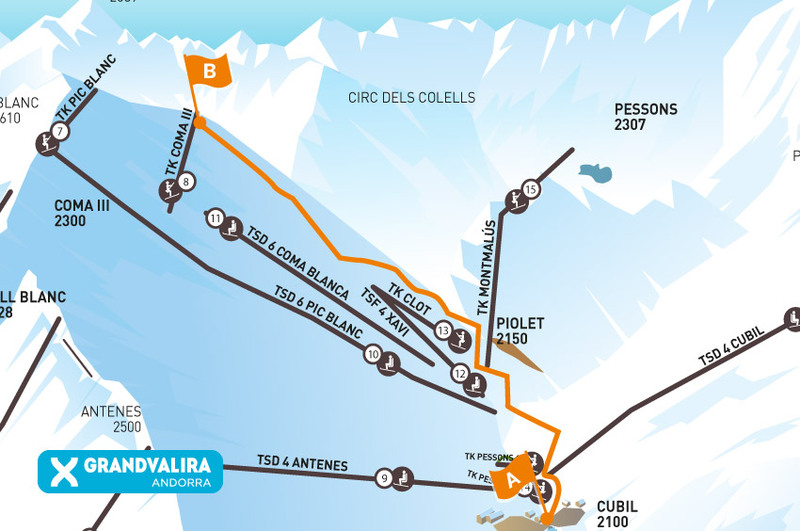 3) Once you have finished the route, your participation will be communicated to the server as soon as you connect to the Internet and your score and ranking will be available both in the app and on the websites www.grandvalira.com and www.skitude.com. Should you wish to improve your time, you can record the route as many times as you like.